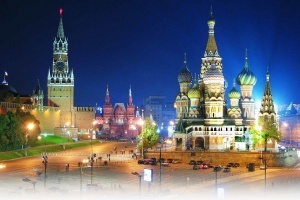 Welcome to Moscow for the spring season! Gagarin's style - How to be number 1? Just before the celebration of the International Day of Human Space Flight, the World Communication Forum in Moscow will gather leading global experts in communications and Russian executive directors for an open dialogue with a focus on the new challenges to leadership and the growing value of communications in today's business and society. Join the session to gain key insight, best solutions, successful strategies and competitive advantages that will help you stay on top! Yanina Dubeykovskaya, co-Chair of the WCFDavos Committee and Content Director of the forum. Which corporate unit/expert should reply the question: How to be #1? Panel leader: Valery Levchenko, Head of Comms Dept, Moscow Institute of Physics & Technology (Russia). Stanislav Naumov, President of the Russian Association of Public Relations - RPRA (Russia). Zhao Dali, Executive VP & Secretary General of China International Public Relations Association - CIPRA (China). Victoria Petrova, Deputy CEO - Regional Operations at Basic Element/General Affairs at Glavstroy (Russia). Christian Dougoud, Associate Director, EastWestPR (UK). Evgeny Kuznetsov, Director of Development and Communications Department at RVC (Russia). Research results presentation. Global Media Communication Map. Presenter: Oleg Vlades, CEO of Public.ru (Russia). PR Agency Leadership > Team. Strategy. Flexibility. Panel moderator: Olga Bychkova, Journalist, Award-winner 2010, Moscow Union of Journalists (Russia). Peter Mao, President, BlueFocus Communication Group, China. Steven Chen, Vice President, BlueFocus Communication Group, China. Sergey Zverev, Founder and President of CROS PR & Public Affairs, Russia. Guntram Kaiser, Chief Executive Officer, "KaiserCommunication" GmbH (Berlin, Germany). Michael Maslov, General Director, Ketchum Maslov (Russia). Panel leader: Elena Sosnovtzeva, former Communications Director at Absolut Bank (Russia). Polina Denisenko, Corporate Communications Director, Nutricia (Russia). Galina Panina, PR Director & Manager External Communications, Leroy Merlin (Russia). Yana Basaranovich, Head of PR at Lamoda.ru (Russia). Alexander Goryunov, Press Secretary and Deputy Director of the PR department at ITERA Group (Russia). Personal branding. Who can be Gagarin today? How can you become #1? Panel leader: Peter Lidov, Director of Public Relations at MegaFon (Russia). Boris Lifanovsky, Soloist of the Bolshoi Theatre, Music Producer and Analyst (Russia). Svetlana Abrosimova, Top Professional Russian basketball player. Dmitry Puchkov, top-influential video-blogger, writer and translator (Russia). Sergey Dolya, Co-Founder and Board Chairman at Advertos Media, Initiator of "Bloggers Against Litter" (Russia). Which is the right communication strategy for securing leadership of your company? Debate moderator: Boris Eremin, Founder & Dean of Moscow's Comms & Media Industry Institute (Russia). Consultancy-based PR: Andrey Barannikov, CEO of SPN (Russia). In-house PR: Alexander Izryadnov, Head of Comms, Internet Initiatives Development Fund - IIDF (Russia). New leadership in the new era of Sharism. Isaac Mao, co-Founder and Director of the Social Brain Foundation, venture capitalist, software architect, social media researcher, founder of CNBlogs.org, also known for his active developing of the Sharism philosophy. Social Media of the Future. Who will kill Facebook? Panel moderator: Olga Bereslavskaya, PhD, Entrepreneur, Angel Investor, Managing Partner of Finjecto LTD, Founder of the page "Amazing Hong Kong" - #2 Facebook page in the World to promote Hong Kong as a tourist capital of Asia. Stuart Bruce, Digital Corporate Communications, Online PR blogger, Trainer and Consultant (UK). Nikolay Sidorkin, co-Founder and Creative Director of "Trend Media", blogger (Russia). Sergey Menshikov, Brand manager at "Odnoklassniki" (Russia). Real life-story shared - "Analogue VS Digital Gianni"! Gianni Catalfamo, Founder of the Digital & Social Media leadership boutique cc:catalfamo (Italy). Moderator for the second day: Lena Brandt, Content Manager of the forum (Russia). New interpretation of MICE: Multichannel, Inspiring, Communicative, Engaging. Panel leader: Ilya Balakhin, CEO and Managing Partner in Paper Planes Consulting Agency (Russia). Julia Skorokhodova, Board Chairwoman at YCB, General Director of Yaroslavl DMC Volga-Tour (Russia). Aleksandra Block, Event Director at "Free Motion Group" (Russia). Georgy Soustin, Corporate Affairs & Communications Director, Takeda (Russia). Visual Storytelling: Branding as a resource for leadership. Panel leader: Alexey Fadeev, Co-founder & creative director at Depot WPF branding agency, member of RBCA council (Russia), with a talk on: "Brands' visual communication: using the stereotypes of perception." "Visual storytelling. From Mesopotamia to Instagram." - Denis Shlesberg, Executive Creative Director at "Artonica" and member of RBCA council (Russia). "Why do brands cease to be mere semblances and become triggers instead?" - Elena Yufereva, Chief Executive Officer at Brandson branding agency, member of RBCA council (Russia). "Fascinating stories at official corporate level." - Ilya Lazuchenkov, Managing partner at Plenum Brand Consultancy, member of RBCA council (Russia). Dymitr Romanowski, Co-founder and CEO of The Story digital branding agency (Poland). Communication, Universities, Education - the new approach. Communication & positioning of universities and educational programs. Panel leader: Maxim Gashkov, Development Director at WCFDavos (Russia). Stuart Bruce, Digital Corporate Communications, Online PR blogger, Trainer and Consultant (UK), Visiting Lecturer at the University of Leeds (MIC program). Maria Mordvinova, Deputy Head, School of integrated Communication, National Research University - Higher School of Economics (Russia). Valery Levchenko, Head of Comms Department, Moscow Institute of Physics & Technology (Russia). The new CEO: Administrator? Preacher? Face of the company? Panel leader: Igor Niesov, Supervisor Educational Projects at Business School RSPP (Russia). Oleg Kalinskiy, Director General at the Pipe Industry Development Foundation (Russia). Konstantin Borisov, Founder and General Manager of "Support Partners" (Russia). Irina Mitrofanova, Director of Digital media and Multimedia projects at "Commerciant" (Russia). Shakhbulat Givarov, First Deputy of the General Director of FBU's "State Commission on Mineral Reserves" (Russia). Five management features contrary to leadership. Coach: Igor Niesov, Supervisor Educational Projects at Business School RSPP (Russia). How to recruit, retain and part with staff leaders? Panel leader: Elena Filippova, Deputy Head of HR and Organisational Development Department at JSC "Federal Grid Company" - Moscow (Russia). "Successful leaders in the period of > Change: innovation projects, implementation > Lean-back approach: increasing productivity." - Zosia Gerchikova, Managing partner of "Top-Management Consult" group (Russia). "The manager's role in the company: how to achieve better results?" - Nadezhda Diakonova, Senior Consultant at Hay Group (Russia). "What determines the success and potential of leaders?" - Anna Burova, Consulting Director of Organizational Development, Ward Howell (Russia). Communication support for public procurement: Dante? Homer? Pelevin? Panel leader: Galina Panina, PR Director & Manager External Communications, Leroy Merlin (Russia). Olga Gorskaja, Chief Procurement Specialist at the Training Centre of the University of Finances (Russia). Jacob Minevich, Chief Executive Officer and Partner at R.I.M. Porter Novelli (Russia). Igor Raykhman, CEO and founder of ByconGroup (Russia). Valery Maltsev, Head of Information & Communication SolutionsCentre at Audit Consulting Group Business Systems Development (Russia). Tools and corporate leadership development programs. "Today's Leader: from Turn-Out-There to Be-Right-There." - Marc Kukushkin, Leading Development Programs Practitioner (Russia). The talk focuses on Leadership Practice: Once turning out in a leadership position, how to seize control and make it a "long-haul" flight? How to develop leadership skills? How to create awareness of it in the members of your team? How to build a leadership development program in the company? Elena Dugina, Director of EMBA programmes Kingston Business School/Russian Academy of National Economy, CEO of I-Consulting, co-Owner of MediaSchool (Russia). Andrey Rossokhin, Doctor of Psychology, Head of Psychoanalysis & Business Consulting, NUE-HSE (Russia). Vladimir Kozlov, MBA Tutor at the Academy of National Economy and Public Administration (Russia).